Sleep is a form of rest – so say the science books. It is very correct that after a hard day’s work, one must get well deserved sleep. But how many of us can claim to get good quality sleep? Whether the person is a student, or a worker or an IT professional, or an engineer or doctor or teacher or a nurse or a policeman, he goes through a number of tensions in his day-to-day life. For students it is the burden of studies. For a policeman it is the pressure of the work and the cases he has to handle, with his boss demanding results and the public and human rights activists ready to pounce on him for any mistake on his part. For a doctor, he has to manage patients with great care. He cannot afford to make a mistake lest a life is lost. Also, the ever conscious people are ready to slap cases on the doctor for any negligence on his part. An IT professional is under pressure from the company to perform and achieve [sometimes unrealistic] targets, with the fear of retrenchment looming large especially in these days of global recession. A call center employee has to work at odd hours, going against nature. All these people go through a lot of physical and /or mental strain during their working hours. They take their worries home. Many executives working from their lap tops continue to work during their journey back home and also at home. Further the advent of TV and the plethora of sports programs are huge temptations to watch cricket, football, tennis and other popular sports late into the night. The effect of this or working while watching TV is ‘going to sleep late’. As the time for going to work cannot be compromised on, it means less sleep than usual for working professionals. The women folk, especially the working women/working mothers are doubly stressed, as they have to perform at work and also do their chores at home including cooking, taking care of the children, minding their homework, and preparing for the next day’s routine. This again leads to less sleeping hours for the women folk. Apart from the shortfall in the quantity of sleep, people also suffer from a good quality of sleep. The amount of sleep a person requires cannot be exactly quantified as it varies from person to person. Various factors come into play like the age, the type of work [physical or mental] and the pressures of work. It is easy to state that one should not carry the troubles home, but they linger in one’s mind throughout one’s waking hours and also disturb the sleep pattern. This should trigger an alert in the person’s mind. It is only when matters worsen and problems become neck deep that he/she takes actions in distress. A visit to a doctor becomes imperative. The doctor recommends that the patient must sleep at least 7 to 8 hours every night. But working professionals hardly get 5 hours of sleep; that too disturbed sleep. They wake up reluctantly on a Monday morning and resume their routines. They should stop and think as to why they are running around working so much. The obvious reason is to secure a good present and future for themselves and their children. 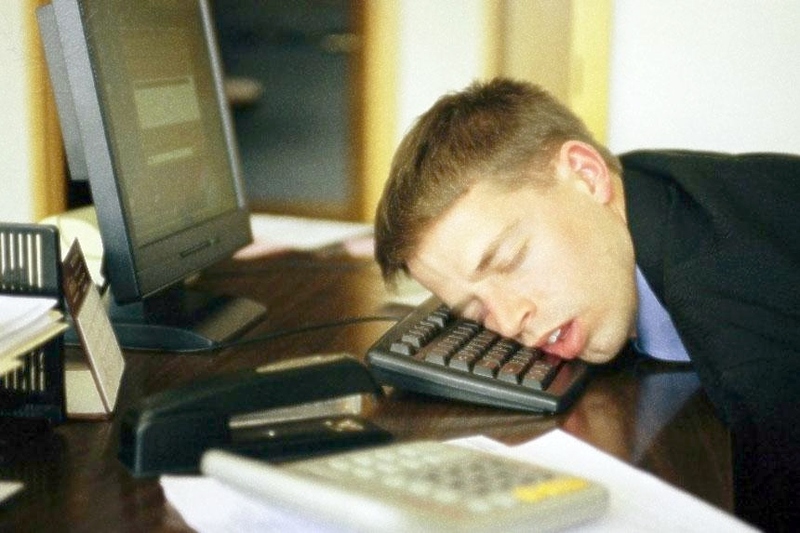 Lack of sleep – qualitative and quantitative – is one of the major reasons for stress in individuals. The basic attitude towards life is a major cause of lack of sleep. Some persons who have achieved real greatness state that if a person’s conscience is clear and he/she has not caused harm to any person knowingly or otherwise, then that person will have no problems in getting good quality sleep. Although this is very obvious, it is only accepted by most of the people in principle only. In reality, they are running after money, success and fame. By running in the rat race, they become ruthless. This leads to tension resulting in their foregoing their daily quota of sleep. This slowly has an effect on their health and they get stressed out. A judicious balance in the working hours and the sleep hours is also essential to avoid stress. Also, the worry in the people’s minds on many issues puts off sleep by an hour or two. This worry has to be addressed by the person by adopting a positive outlook toward life. He/she should analyze the situation and the options before him/her in an objective manner. If the analysis becomes subjective due to the biased opinions of the sufferer, he/she should confide in someone close to him/her, so that this person can make an objective evaluation and suggest a solution. Thus, removing this worry from the person’s mind will ensure peace of mind and hence good quality of sleep. * Yoga and meditation offer rest to the body and the mind, resulting in peace and calm. * Regular walk and exercise lead to suppleness of the body which also results in calm. * Cultivating good and healthy friendship is one sure way of calming the agitated mind. * Cultivating hobbies leads to pleasure and relaxation from the normal rat race routine. * Forgive-and-forget attitude should be adopted for the mind to always remain calm. * Say a small prayer thanking God for all the blessings (also for those in disguise) and look forward to a better day the next morning.